The Marttel Hotel Karlovy Vary is located in close proximity to the center of the villa district in which it is situated. There are sporting facilities nearby this hotel and a rehabilitation center. Guests of this Karlovy Vary hotel who come in their own cars will also find guarded parking facilities located nearby. The Karlovy Vary International Airport is located not far from the Marttel Hotel Karlovy Vary, just south of the city. The rooms at the Marttel Hotel Karlovy Vary are provided with amenities which include satellite television service, non-smoking options and private baths equipped with hairdryers. Each room opens up onto a private terrace or balcony. There is room service available at all hours. The Marttel Hotel Karlovy Vary provides amenities which include two separate conference rooms. The larger of the two rooms can accommodate groups of up to 90 while the smaller can accommodate groups as large as 25. 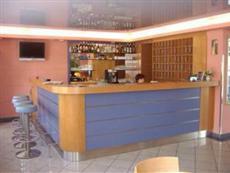 The hotel also has a restaurant onsite and provides conveniences such as a laundry service to its guests.